Dubai, UAE (February 27, 2018): Cityland Mall which will be the world’s first ‘nature-inspired’ shopping destination remains on track for opening in Q4 2018 with construction of the mall continuing at a consistent pace. In terms of construction, 60 per cent of the project has been completed as of February 2018. In parallel, the leasing of the mall has also made considerable progress with over 50 per cent of retail spaces being leased and committed. Construction work for the Carrefour hypermarket is nearly complete and it will be ready for handover on or before end of March 2018. This will be the largest hypermarket in the Dubailand area. 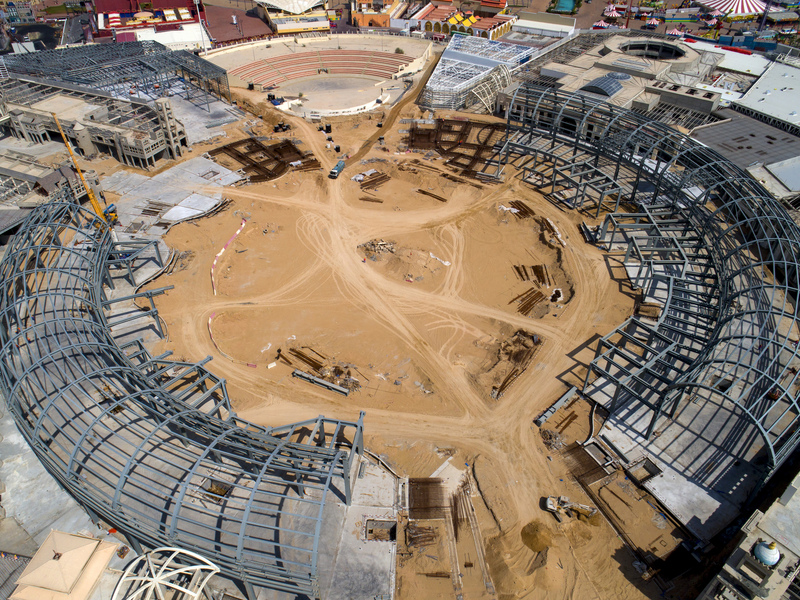 Construction work for the two major entertainment anchors – VOX Cinemas and Fabyland are progressing at a fast pace and will also be ready for handover within the next 6-8 weeks. By the end of Q2, 2018 the site will be open for most of the mall tenants to come in and commence their fit-out works. In terms of structural works, over 80% of structural works of the entire project have been completed as of date and the remaining works are scheduled to be completed in the next 8-10 weeks. Internal finishes and MEP (mechanical, electrical and plumbing) works are in full swing and preparatory works are ongoing to begin the façade works including glazing and skylights. External utility works are also in progress and the external parking works to serve the mall will commence very soon. The landscaping contract for Central Park which is an integral part of the mall has been awarded to Miracle Garden Landscaping, the company behind the world class landscaped projects such as Dubai Miracle Garden and Dubai Butterfly Garden. The 200,000 sq.ft. Central Park will provide a unique sensory experience for shoppers and has been designed to accommodate 7,000 shoppers at a time in its vast expanse. Cityland Mall will be providing a strong selection of retailers across various categories. Cityland Mall’s Everyday Essentials area will be strongly anchored by a 100,000 sq. feet Carrefour hypermarket. Supporting the Hypermarket district will be over 75 shops and services, making it easy for customers to manage their day-to-day grocery and necessity shopping. The mall’s Food and Beverage offerings will feature a wide variety of restaurants, cafes and quick service food concepts. The food court area will feature over 20 outlets, with a complete range of dining preferences. In Central Park, there will be 22 full service casual dining concepts with outdoor terraces facing onto Central Park. Several of these restaurants will also have roof top terraces with amazing views of the Park. The Lifestyle Fashion area will feature over 100 retailers selling fashion and apparel, shoes and accessories to provide customers with a strong variety of popular and premium brands. Riva Fashion, Matalan, Ipekyol, Native are among the prominent fashion brands that will be present in Cityland Mall with many others in the pipeline. In terms of family entertainment options, visitors to Cityland Mall will be served by a stunning 45,000 sq. feet VOX Cinemas with 10 screens using the latest projection and audio technology. Next-door will be the Fabyland Family Entertainment Centre, an indoor amusement park of close to 40,000 sq. feet.